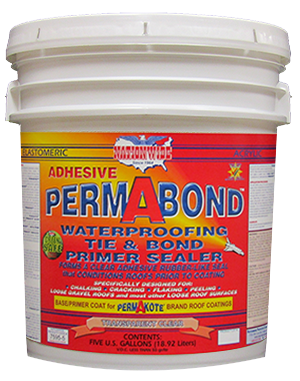 High quality ELASTOMERIC vinyl acrylic waterproofing primer sealer. 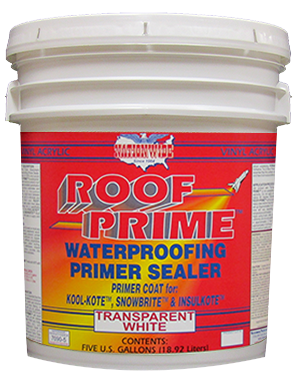 A transparent white roof primer with excellent adhesion. 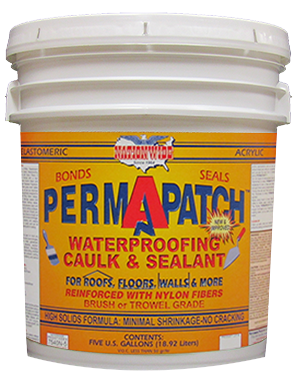 Helps to seal and prevent most leaks. 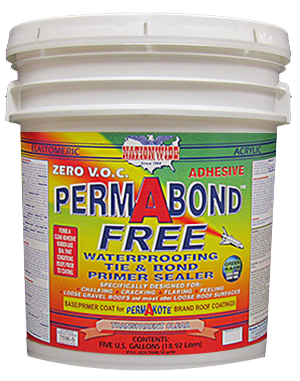 Superior bonding to KOOL-KOTE™, SNOWBRITE™, INSULKOTE™ and most other compatible latex coatings. SLOPED ROOFS ONLY. Weight per Gallon: 10.9 lbs. 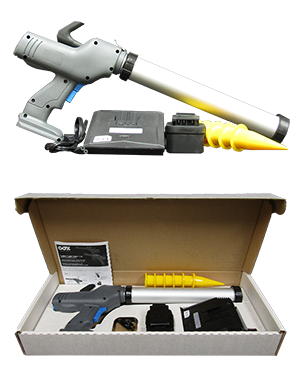 Cordless Refillable 20 Ounce Production Caulk Gun. Save Time, Labor & Reduce Expenses.